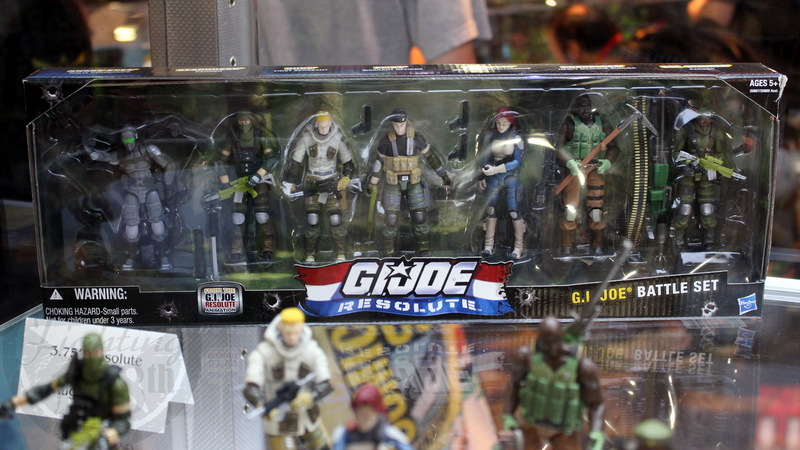 SDCC 2010: Hasbro G.I. 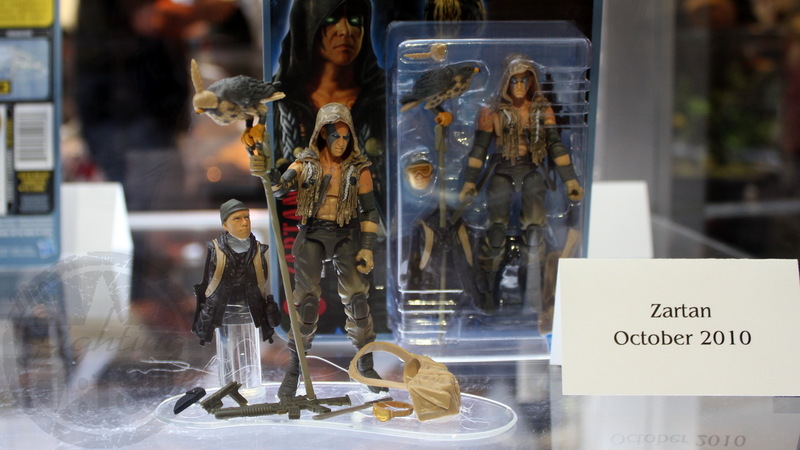 Joe Booth! 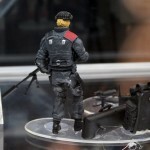 | The Fighting 1:18th! 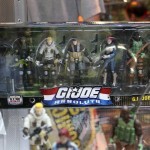 Home > Conventions > SDCC 2010: Hasbro G.I. 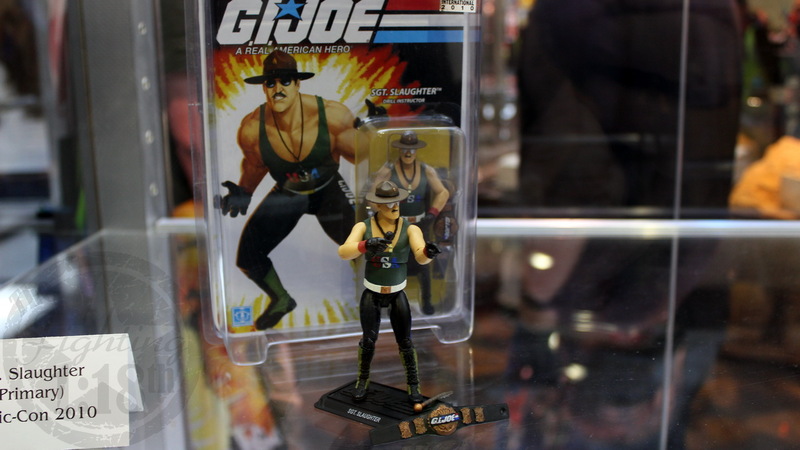 Joe Booth! One of the first stops the Fighting 1:18th made at SDCC 2010 was at the Hasbro G.I. 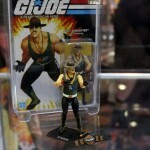 Joe booth to see whats new! 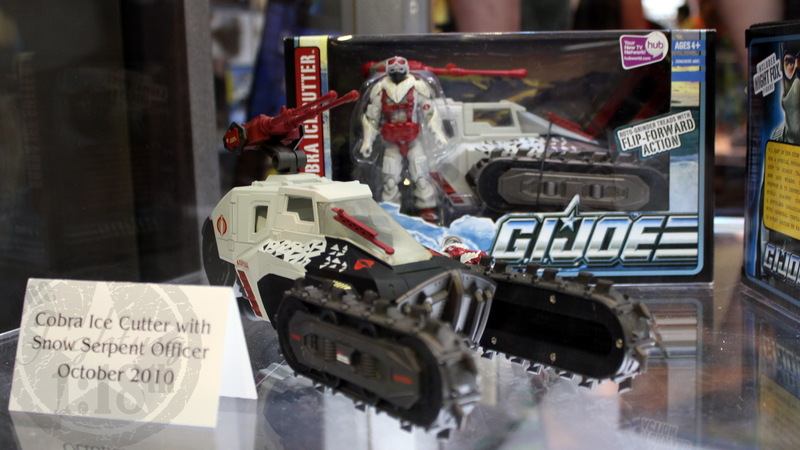 SDCC 2010: Hasbro G.I. 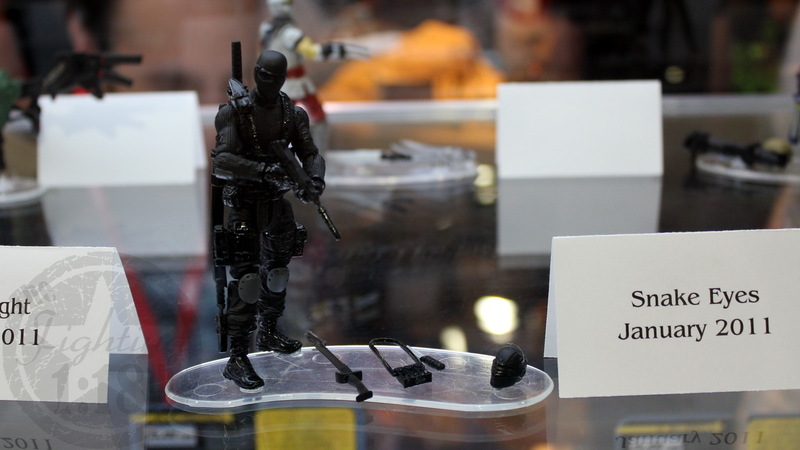 Joe Booth! 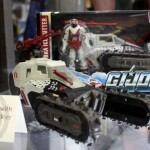 One of the first stops we made at SDCC 2010 was at the Hasbro G.I. 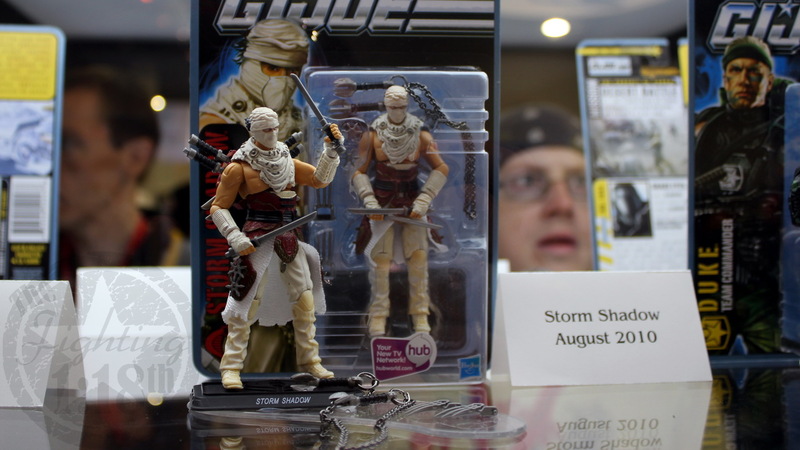 Joe booth to see whats new! 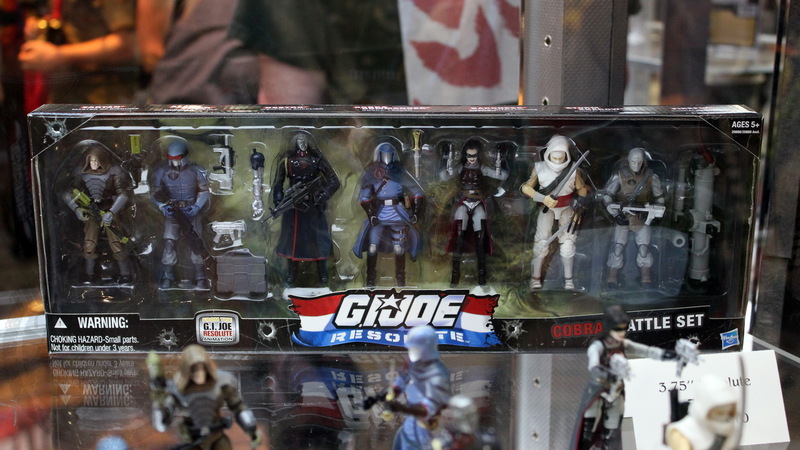 Last year, with the Rise of Cobra movie coming out, the G.I. 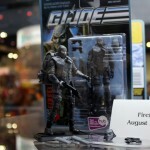 Joe section at SDCC was *HUGE*, with lots of displays and dioramas. This year, however, with only a smattering of figures and vehicles coming out over the next several months, and consequently the display section has been considerably reduced. 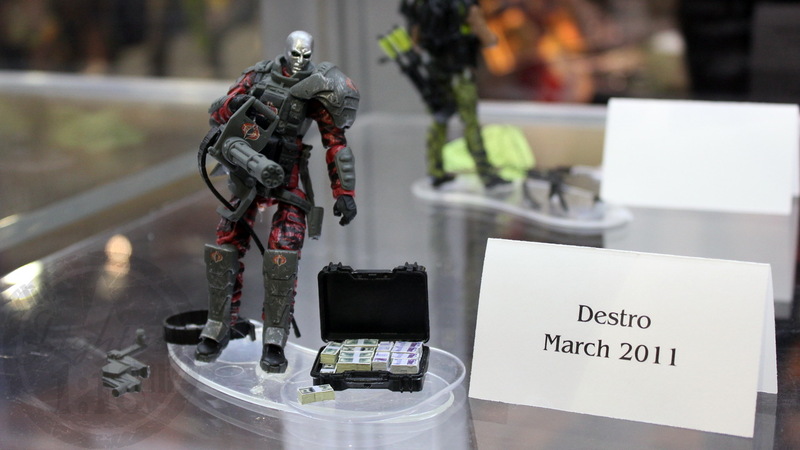 It’s kind of sad to see only two small display windows and a diorama section, but I suppose that’s what happens in off-years. 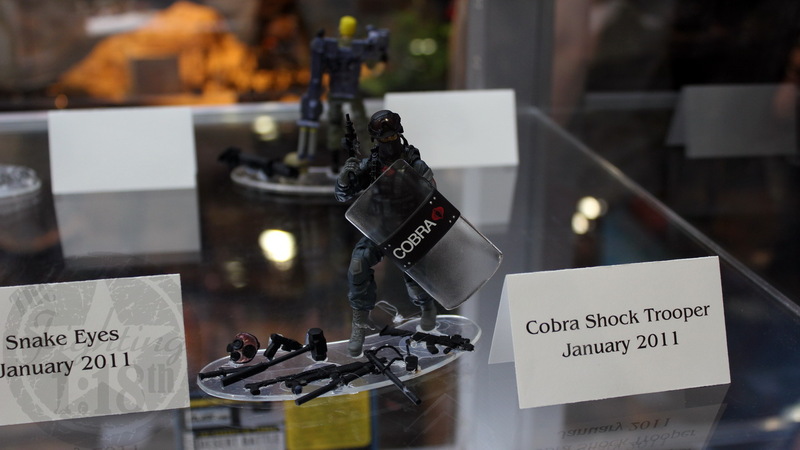 Hasbro has the Pursuit of Cobra figures on display, as well as the new Resolute 7-packs, and all the assorted vehicles that will be coming out wave over the next 6 months or so. 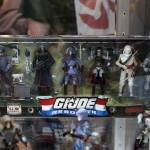 Hasbro also set up four really nicely done, but small, dioramas, each depicting one of the four ‘regions’ that G.I. 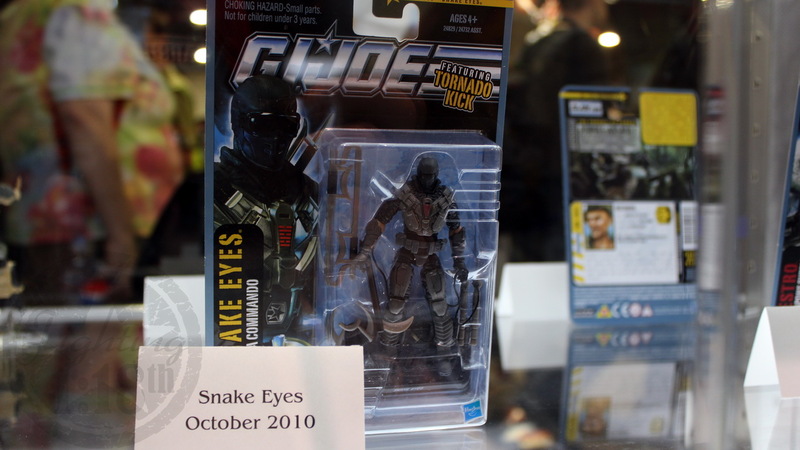 Joe is pursuing Cobra. 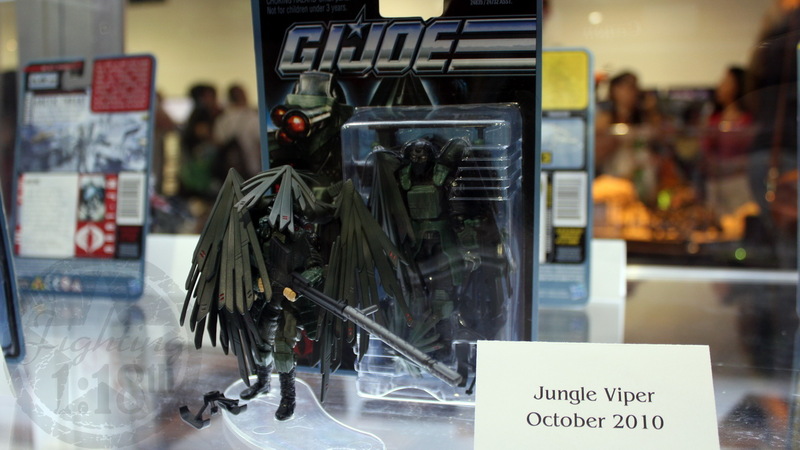 A ruined city-scape setting, cold arctic, dusty desert and a lush jungle setting. 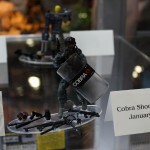 We are going to have a second post in a little while with a full gallery for the four mini-dioramas they have set up. 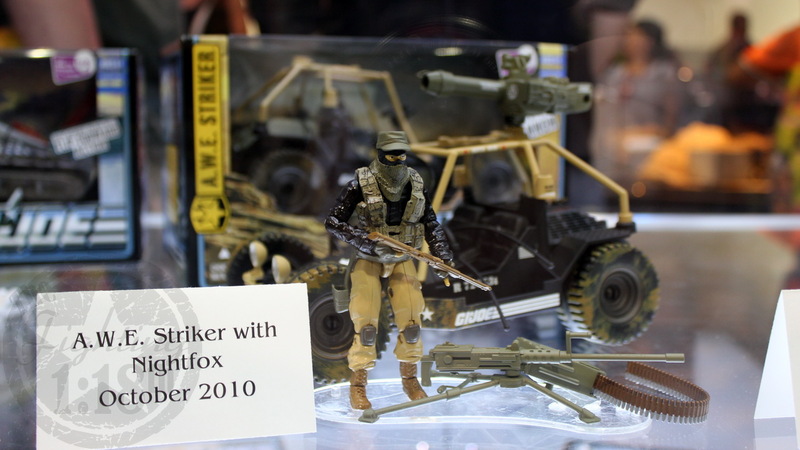 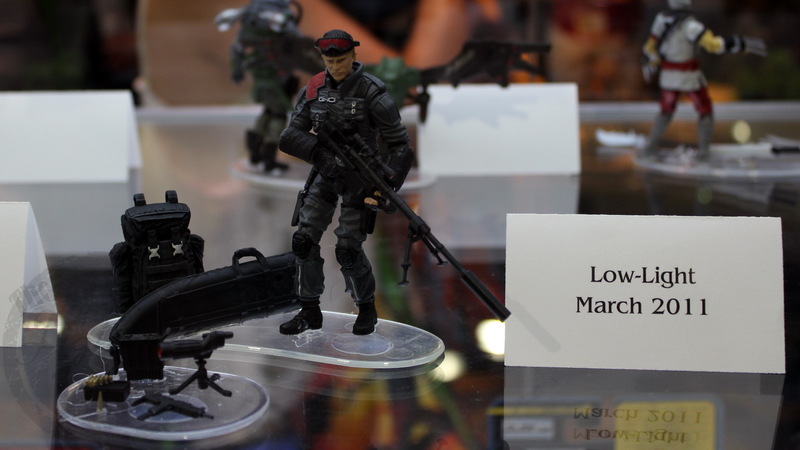 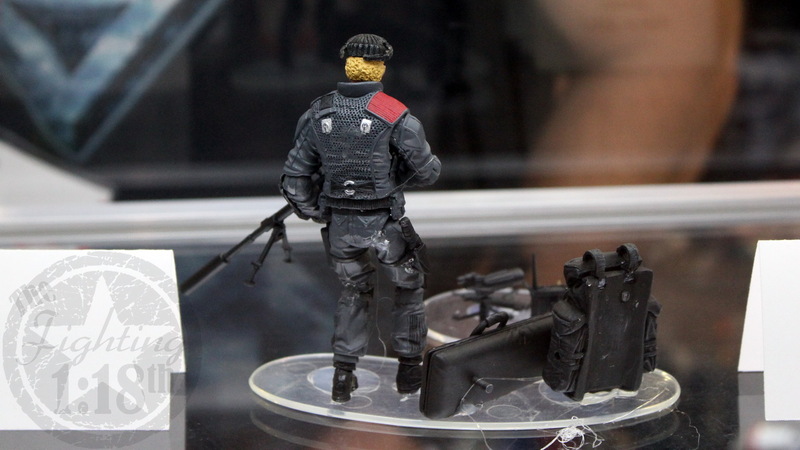 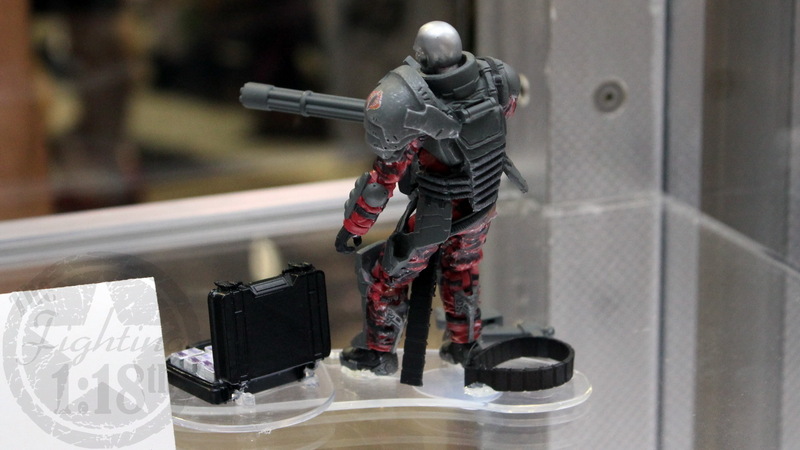 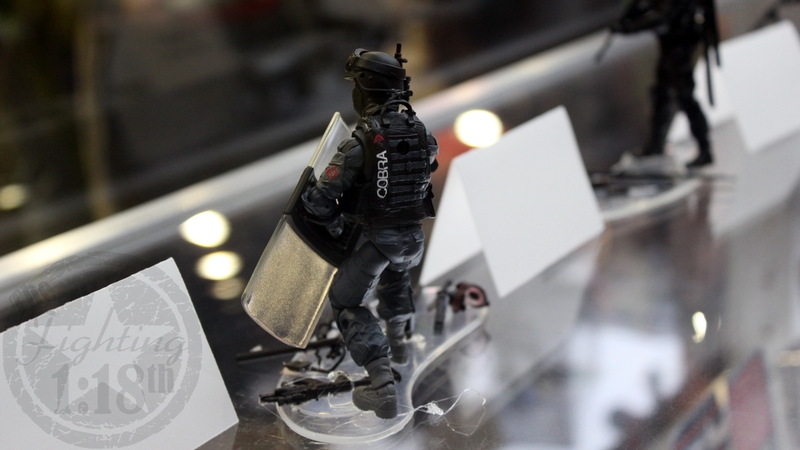 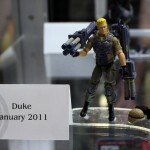 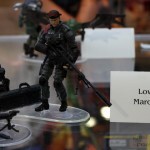 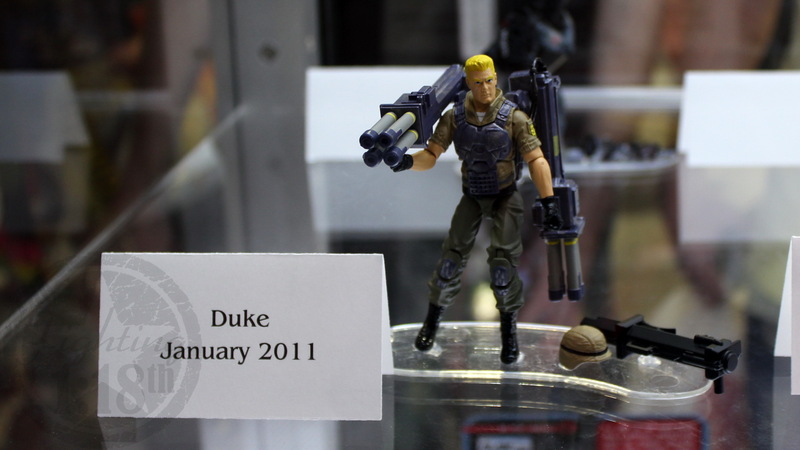 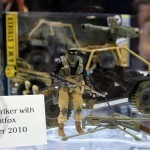 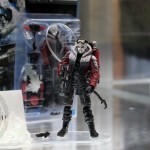 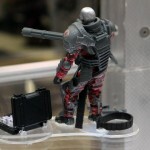 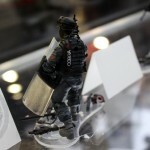 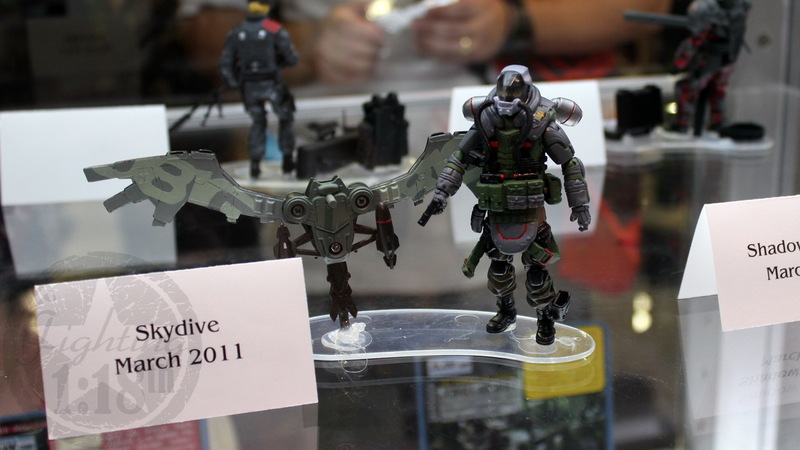 Previous: The Fighting 1:18th is AT SDCC 2010! 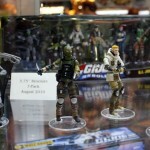 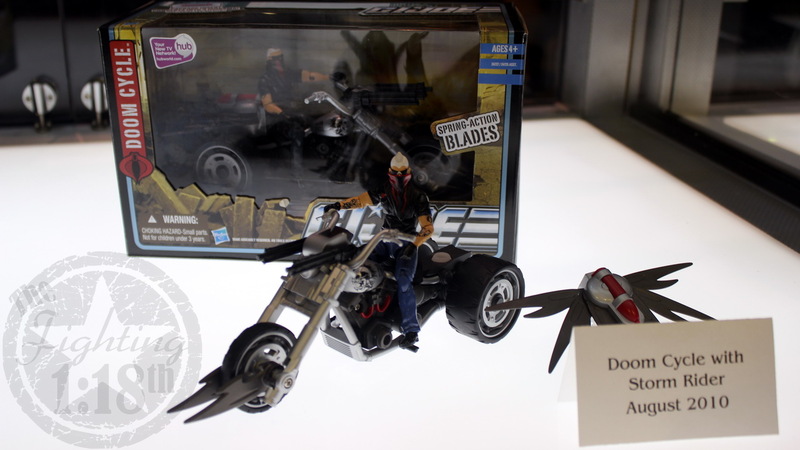 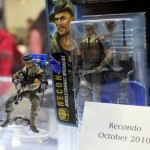 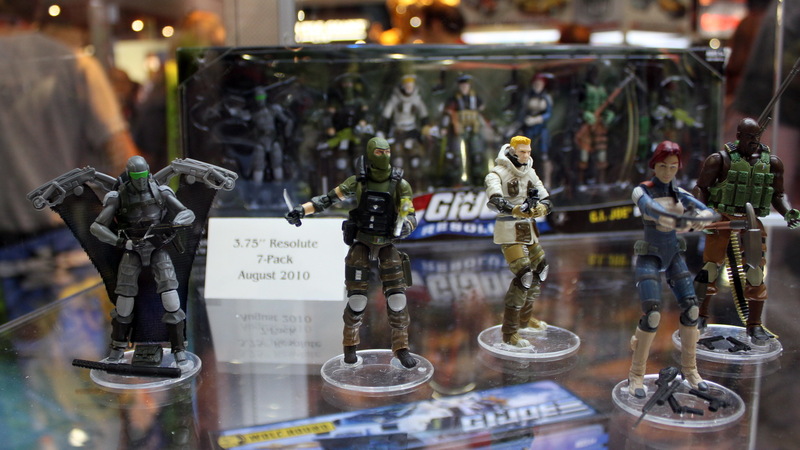 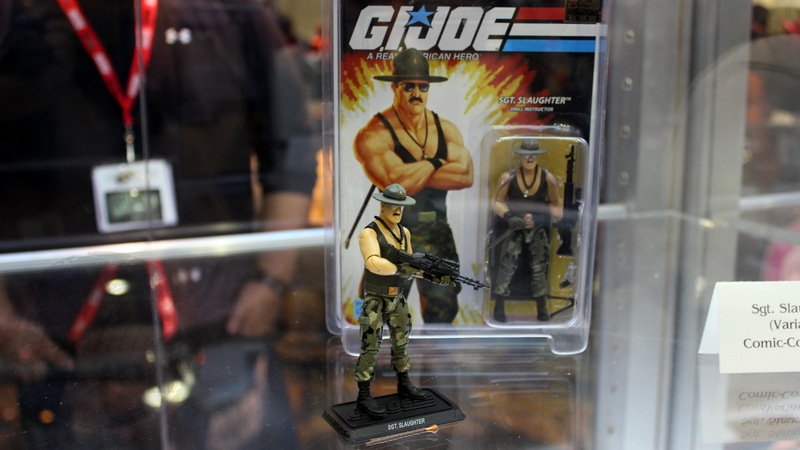 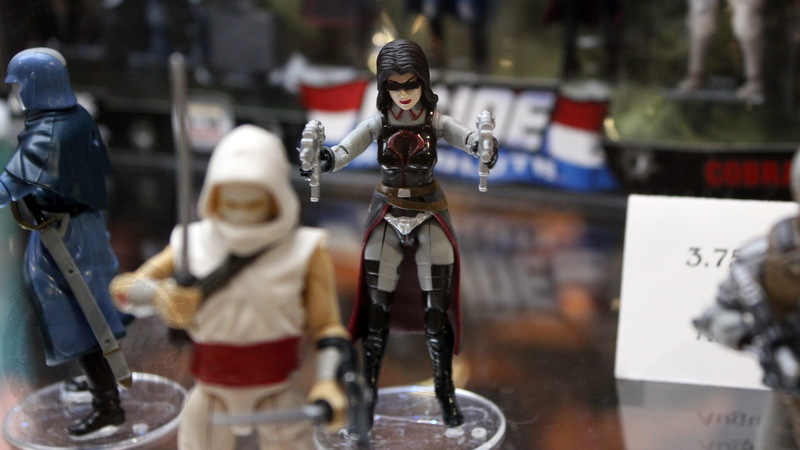 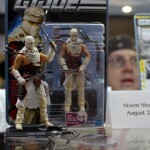 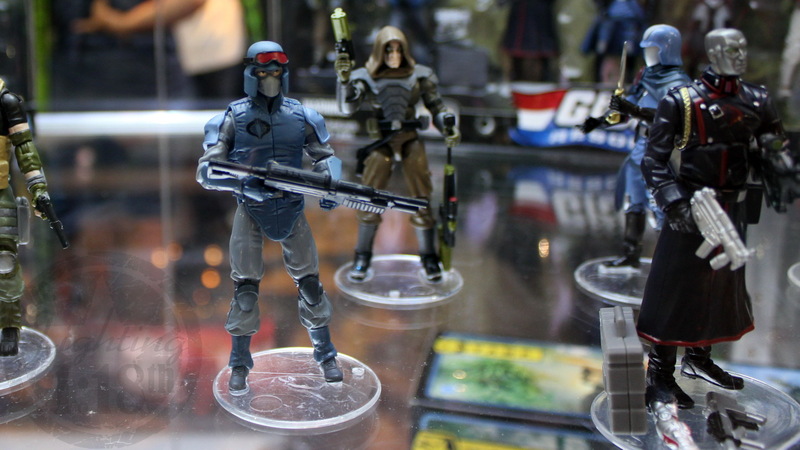 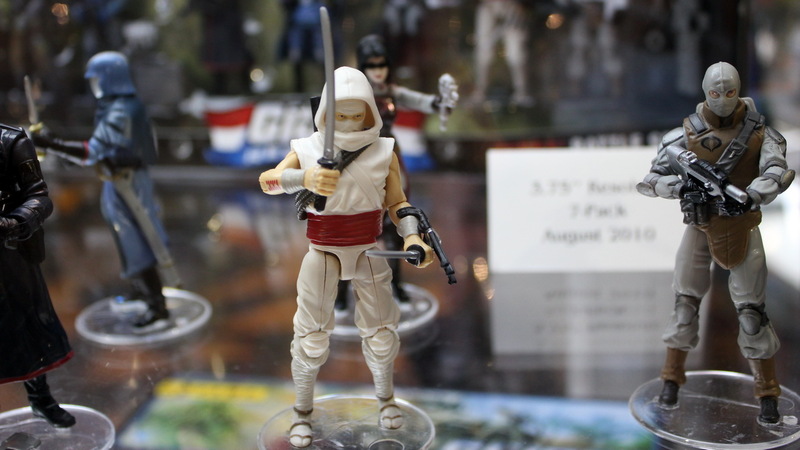 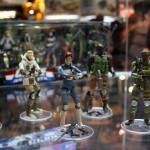 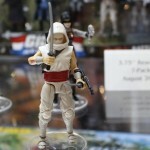 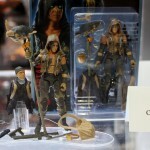 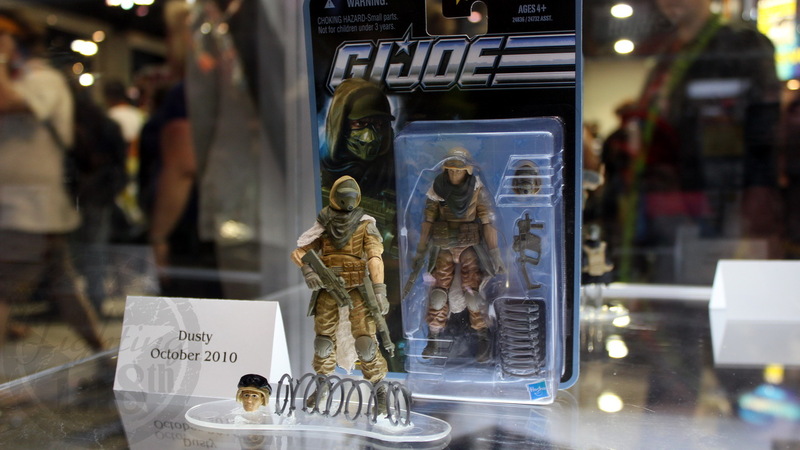 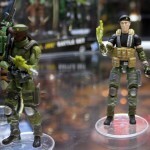 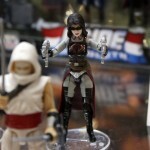 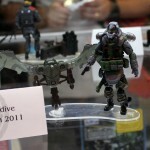 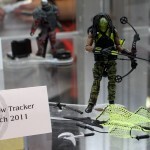 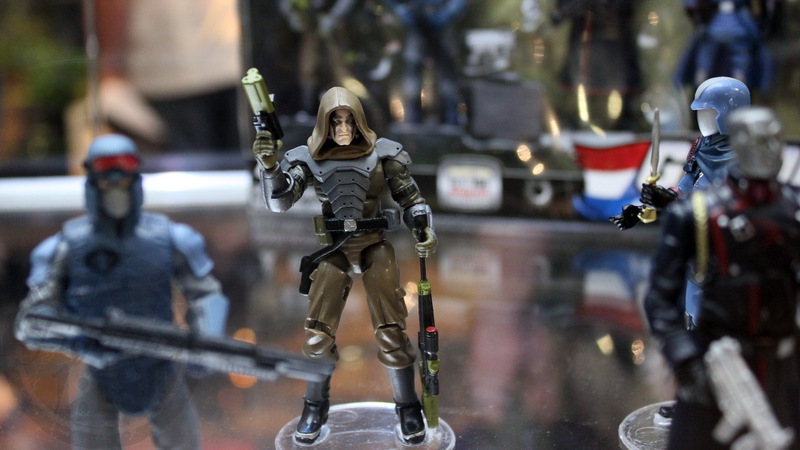 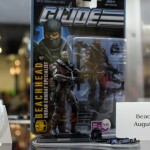 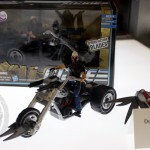 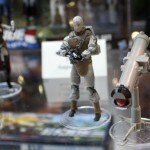 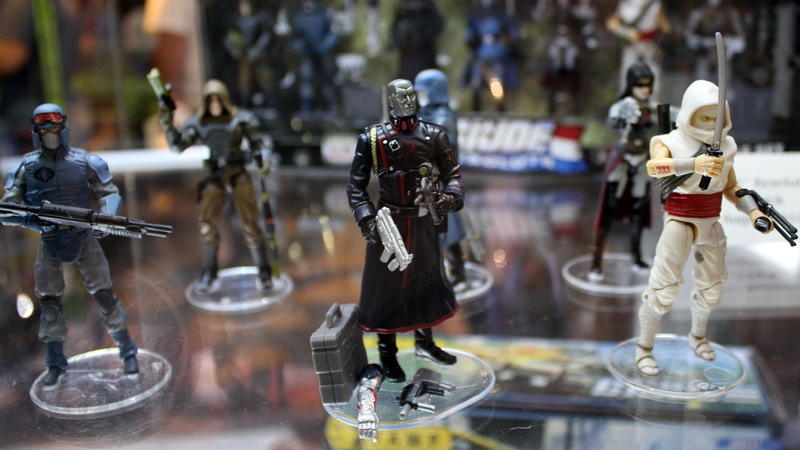 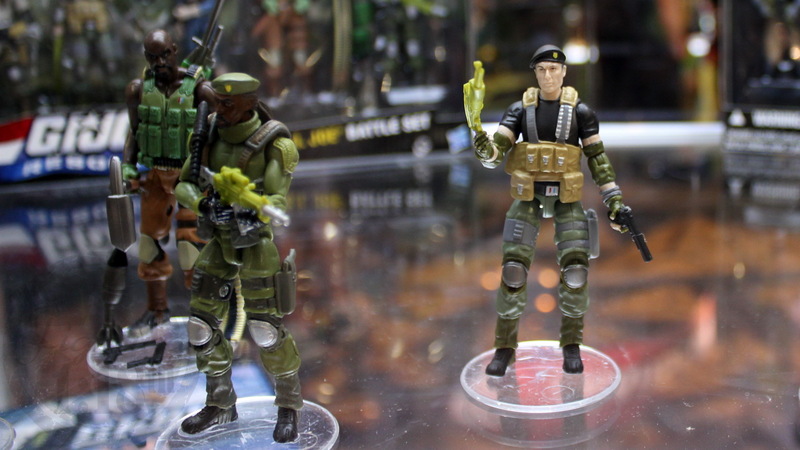 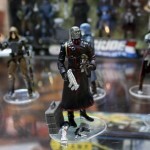 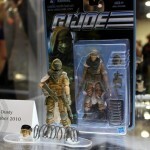 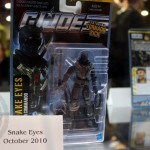 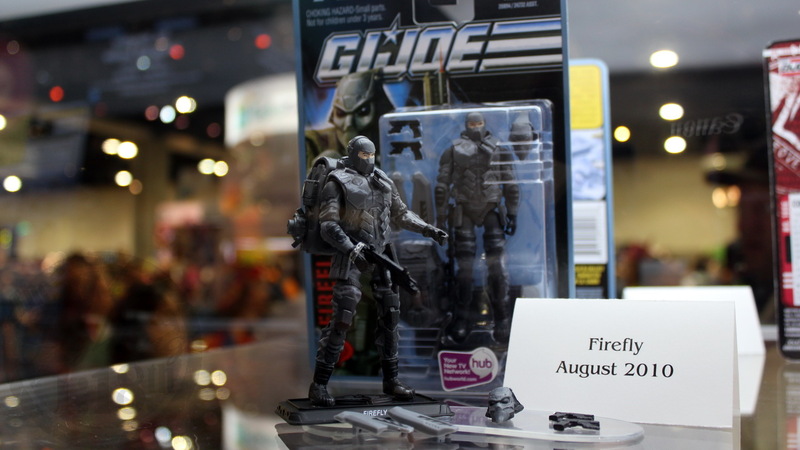 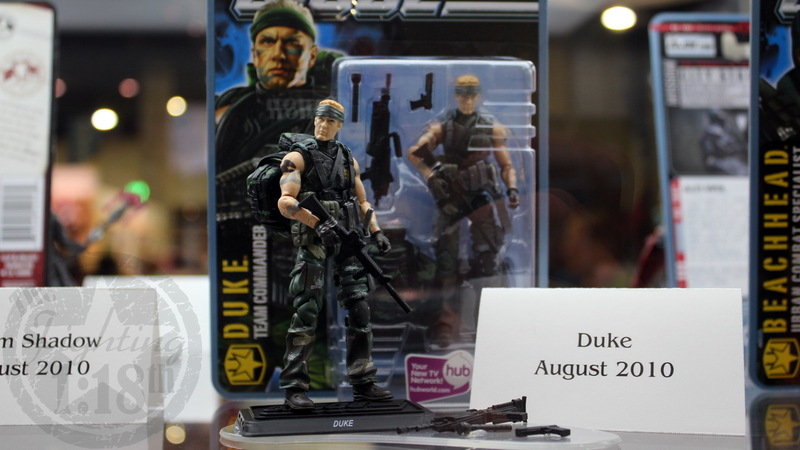 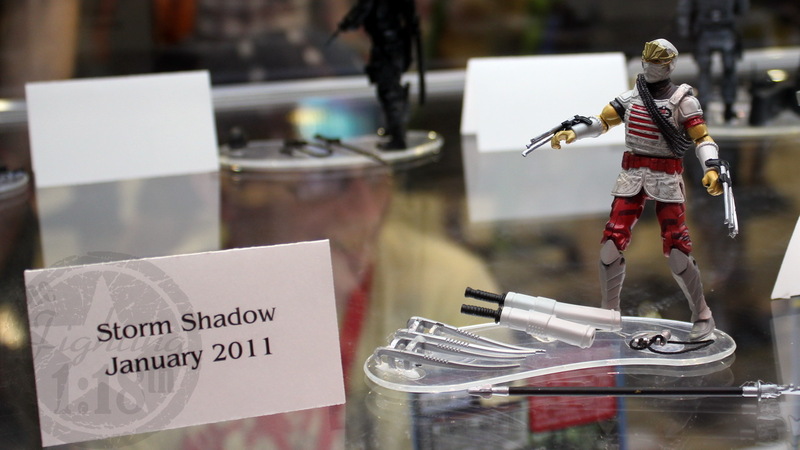 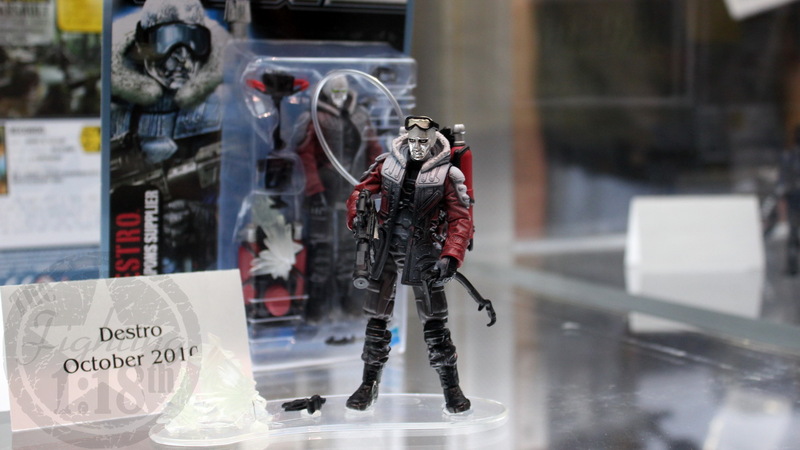 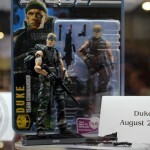 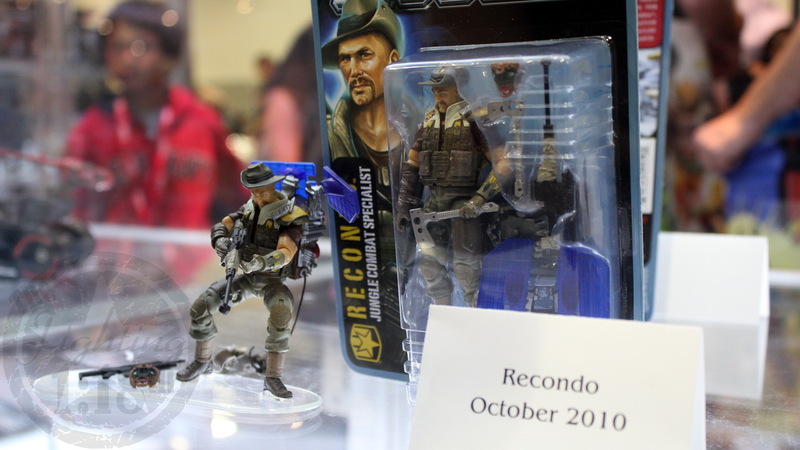 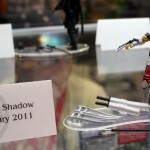 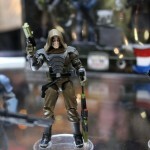 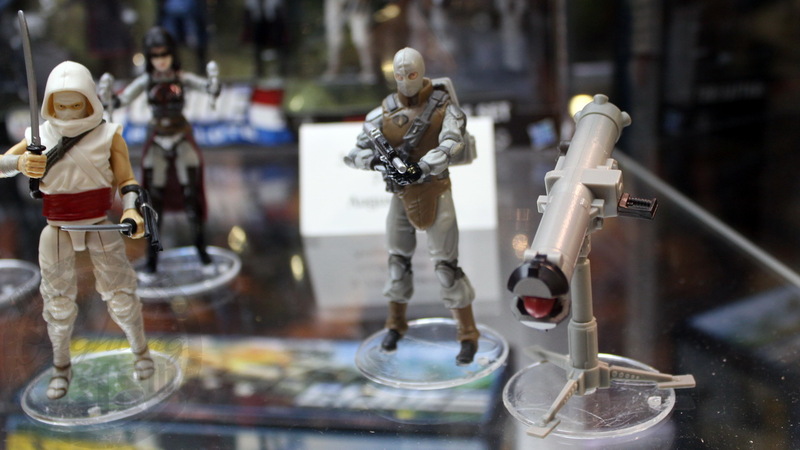 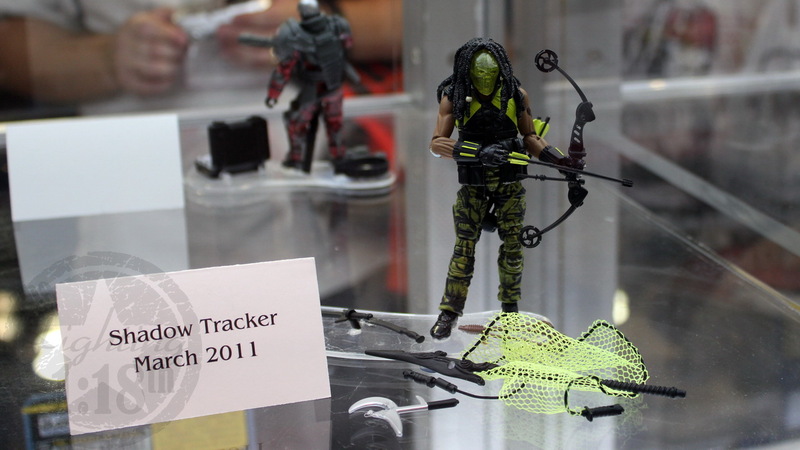 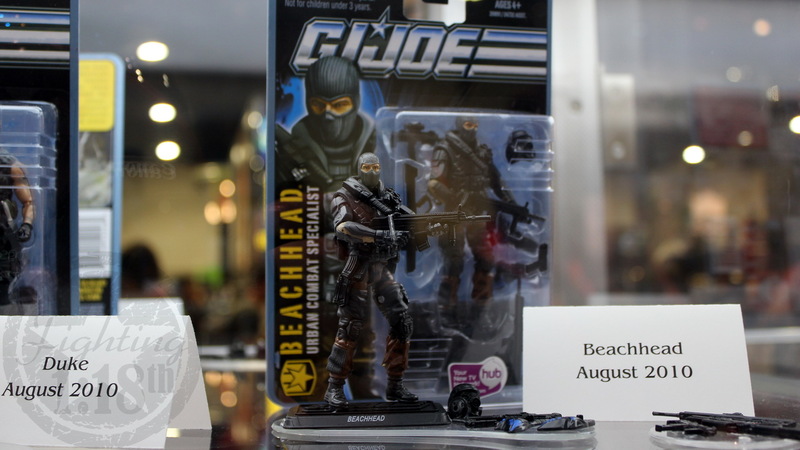 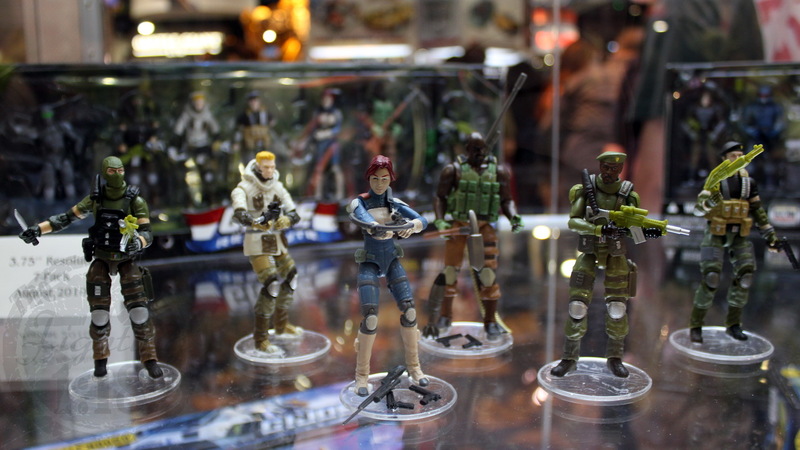 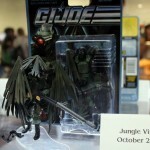 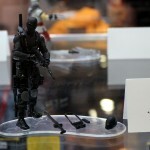 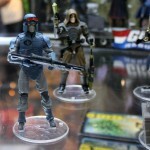 Next: SDCC 2010: Hasbro G.I. 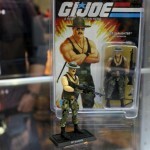 Joe booth Dioramas!